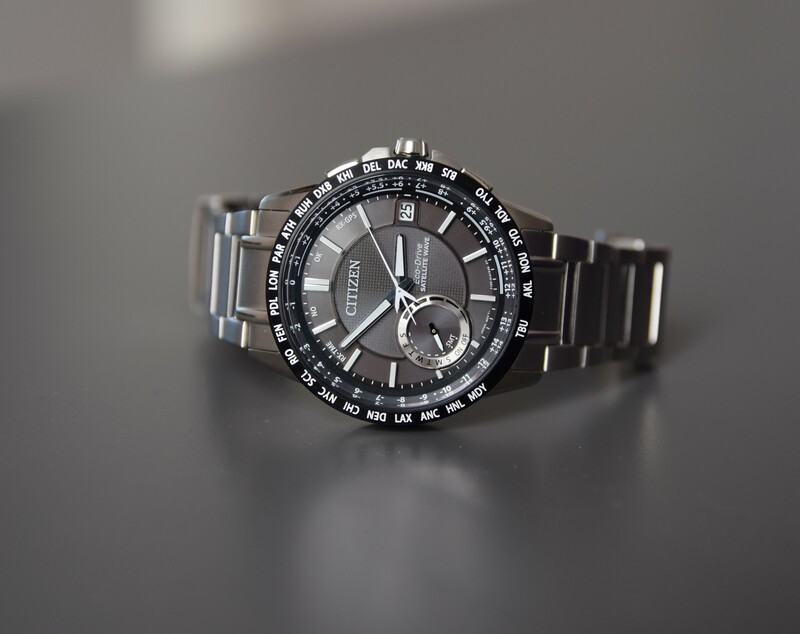 Citizen breaks the boundaries once again in satellite technology with the launch of the Satellite Wave-World Time GPS in stainless steel with black dial. 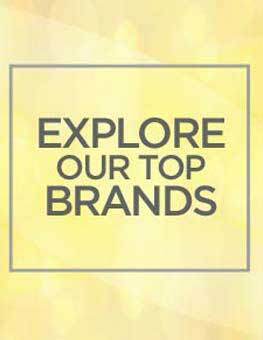 Featuring satellite GPS timekeeping system with worldwide reception area, world time in 27 cities (40 time zones), perpetual calendar, daylight savings time indicator, power reserve and light level power indicators, day and date. Water resistant to 100m with scratch resistant, anti-reflective sapphire crystal. I have purchased this watch to complete my Citizen "collection" and for some additional features it has over my previous one (Citizen World A-T Chronograph AT8110-53E). What I like the most about this watch is the clean, uncluttered design of the dial. After a few years of wearing a Chronograph watch (function that I basically never use) I started appreciating more and more the simple designs, hence my interest in the Satellite Wave World Time model. Besides the clean dial, the presence of lume on the hands and markers is a much needed addition over the Citizen World A-T Chronograph AT8110-53E. Citizen's specific blue photoluminescent material is one of the best on the market and assures a very good glow level during the first 2-3h at least (while at the cinema for example). It should also provide acceptable visibility throughout the night after being properly exposed to light, but please keep in mind that your vision should be adapted to darkness in order to notice the glow after a few hours. The watch case and bracelet are made of brushed stainless steel, a big plus over the polished Citizen World A-T Chronograph AT8110-53E which tends to show some fine scratches over time. The clasp is also very nice with the two side buttons being very easy to press in order to open the bracelet. The stamped "Citizen" logo on the clasp is a nice touch in my opinion. The grey bracelet completes perfectly he black watch dial, giving a bit of contrast between the two colors, but not too much. The black outer ring with the timezones frames the watch dial very well, but it also makes the dial look bigger than it is. There is only a 1mm width difference between the Satellite Wave-World Time F150 and the World A-T Chronograph AT8110-53E, however looking at both of them side by side the Satellite Wave looks significantly bigger. The watch remains perfectly wearable on smaller wrists though (like mine) and feels confortable both in width and in thickness. Talking about functions, the Satellite Wave-World Time is amazing! 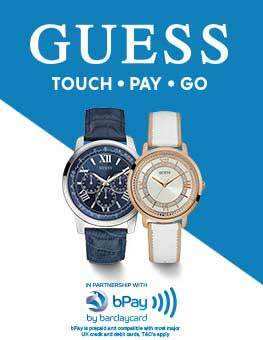 The use of GPS technology to sync the time is clearly superior compared to the radio signals. Not only does the GPS work all around the world and at any time of the day (compared to the limited geographical availability of a radio signal and recommended sync time mostly at night), the sync through GPS is much, much faster. The watch has 2 sync modes: time only (RX-TIME) or time, time zone and calendar (RX-GPS). It takes 3-5 sec to sync in RX-TIME mode and in my testing I can get a sync inside buildings up to 3m away from a window. The RX-GPS sync takes around 20 sec and in the two or three tests I carried out so far, I only managed to get a sync outside. However, even in RX-GPS mode you do not necessarily have to stand still as the watch manages to sync while you are walking. The auto-sync methodology is also optimized over a radio controlled watch. If a radio controlled watch updates daily around 2 AM, a GPS controlled watch tries to sync automatically only if certain conditions are met: at least 6 days have passed since the last successful sync and the watch detects a strong light level. I find this approach to be better adapted to regular use since the watch movement is already precise enough to keep the time error below 1 sec after 6 days. It has been reported that the battery efficiency is much improved on the recent Satellite Wave models compared to previous Citizen watches. I have no way of confirming it, but if my previous two Citizen watches are an indication, the battery charge will never drop below max level during normal use (even during the cold season when wearing long sleeves). One thing to note compared to a radio controlled watch is that a GPS controlled watch needs to be manually set for daylight saving time as this information is not transferred through GPS! Luckily, this will be a non-issue for everybody living in the EU since starting with this year daylight saving time will no longer be observed on the continent. A nice feature worth mentioning is the fact that each hand can turn independently, which makes changing time zones much quicker than on my previous Citizen World A-T Chronograph AT8110-53E. And, as with all Citizen watches, the second hand points perfectly to each marker on the dial, no surprise there. Overall, the Citizen Satellite Wave-World Time GPS Watch is an excellent timepiece that just works without any user interaction provided it gets some light from time to time. 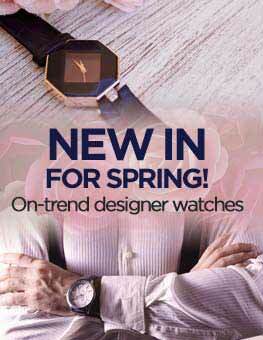 It is also a fashionable accessory and can be worn as a dress watch or just as day-to-day casual watch. Highly recommended! This watch gives me the look, style and confidence. A techy and super class watch and I could not ask for more. I am self assured and felt assertive all the time whenever I am travelling, I am ever grateful to the Satellite Wave GPS technology in this Watch. Confidence is another Synonym for this Watch. Magnum Opus this one is! I am very proud to own it! People look at me now! All functions work just as advertised and specified. Technically this is really an ultimate watch for anyone interested in the most accurate time, date and automatic time zone recognition. I have had no issues syncing the time and location even indoors through a window! I was worried about the big size since my wrist is only 17 cm. I was happy to find out that this fits OK and is quite comfortable to wear. However my previous watch was made of titanium and this one is made of stainless steel. They say that once you have tried titanium you never go back to steel -- I just did. Choice of this model instead of the more expensive titanium-models was mainly due to price. If you can afford the Ti-models, I would recommend them over this. In my opinion titanium is just superior to steel as a watch case and bracelet material. Fortunately the SST bracelet of this one is connected with standard spring bars and even the pieces closest to the body will come off. This means that you can easily replace the bracelet with leather or silicon strap. If you Google this model, you will find photos of this with silicon straps. But if the weight 144 g total, bracelet at 17,5 cm in not an issue, the default bracelet is OK. I was considering buying a more expensive watch such as a Tag Heuer but would the Tag Heuer have any more functionality than that of the Citizen Satellite Wave World Time GPS Watch? i genuinely think not. 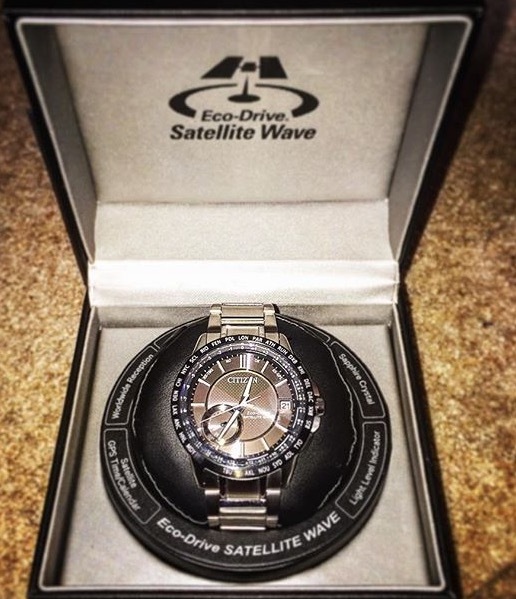 The decision to buy the Citizen Satellite Wave World Time GPS Watch was not taken lightly as i have been looking for a new watch for quite a while. The Citizen does the main things that i look for in a watch which are it keeps perfect time to GMT thanks to the satellite function and never needs a battery or be wound. At the end of the day what more could you ask from a watch? 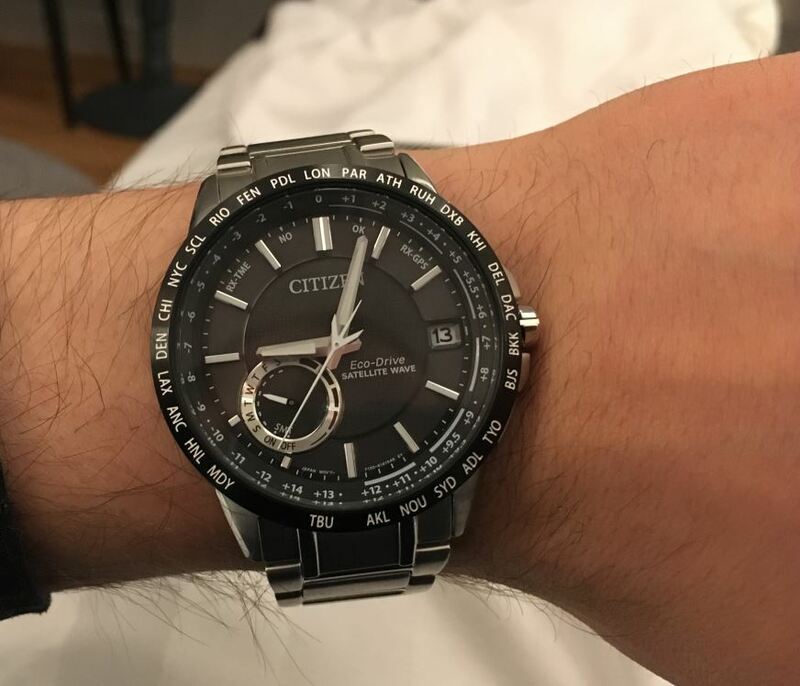 To top it all the Citizen looks great on my wrist being quite blingly but not overly so. 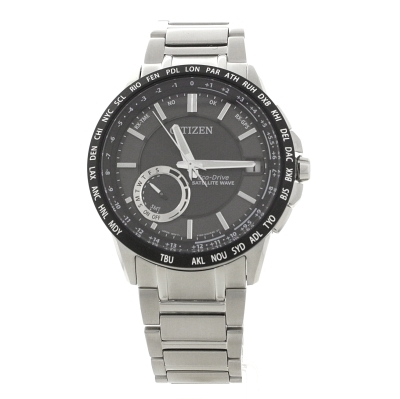 If you are looking for a watch that looks great with brilliant functionality at a fraction of the cost of similar watches then look no further than the CITIZEN SATELLITE WAVE-WORLD TIME GPS ECO-DRIVE WATCH CC3005-85E. 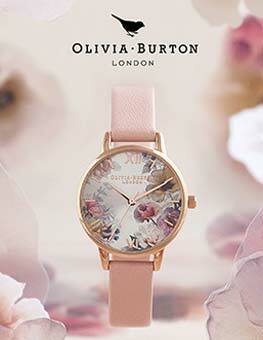 Exceptional watch with all the latest bells and whistles. Just what the doctor ordered and its got bling too! Who could want for more? An absolutely stunning watch, it looks at least three times the price I actually paid. The tech within the watch is also brilliant, light years ahead of any of the other watches we looked at in and above this price range. 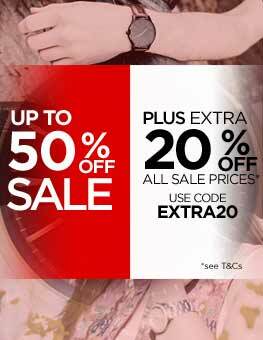 Amazing value for money and would highly recommend - my husband is a very happy man indeed! Very nice, simple, stylish watch that hides a lot of tech hidden inside. Time sync is very, very fast and and even location sync only takes around 1 or 2 minutes. The best bit is that it is very easy to use both sync modes. You can set it up manually but it looks like a complicated process and I have no idea why you would ever bother when you can do it automatically and easily. The only downside is that you have to manually set up daylight savings if the location you are in is operating on DST. On the plus side this is a simple matter of pulling the crown out one notch and pressing the lower button to toggle DST On/Off.